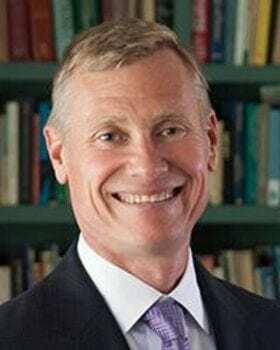 Carl G. Stahmer, PhD is the Director of Digital Scholarship at the University Library. He oversees a variety of digital initiatives on campus, and has worked in the digital humanities since the mid 1990s. Stahmer’s work has been funded by various organizations and institutions, including the Institute of Museum and Library Services in 2014, the National Endowment for the Humanities, the University of California Humanities Research Institute, the Andrew W. Mellon Foundation, The National Science Foundation, and the British Society for Eighteenth Century Studies. Digital Humanities remains a growing field, especially regarding open source access to materials. In the mid 1990s, you built Romantic Circles, a refereed scholarly Website devoted to the study of Romantic-period literature and culture. What were your overall goals when you built this online platform, and in what ways, if any, has it grown in ways you didn’t expect? I was first exposed to the world of networked information while working on the ARPANET in the late 1980s, and the first thing I thought when I saw it was, “Someday everything will be here!” That thought stuck with me, and as soon as I started graduate school and had access the internet I started putting things online. Romantic Circles grew out of an earlier project that I had started called “The Shelley Index,” which was an online resources devoted to the study of Percy Bysshe Shelley. This site, which consisted completely of content produced by me without any peer review, caught the eye of Neil Fraistat (University of Maryland) and Steven E. Jones (Loyola University, Chicago), who had also been working on creating online resources for the study of Romantic literature. We put our heads together and Romantic Circles was born. Our primary goals for the site were twofold. First, we wanted to make high quality scholarship freely available to everyone. And second, we wanted to leverage new possibilities of form and meaning offered by the environment. The thing that has most surprised me about the site is how little of the second goal has been realized. In the early days, we tried a lot of experimental stuff—multi-player gaming environments, collaboratively authored scholarship, multi-media presentation, etc.—but few of these alternate publication forms attracted enduring readership. (It is interesting to note that several still attracted a lot of critical attention.) As an editorial practice, we made decisions to focus on the types of content with which our users were most engaged, which is a sound editorial decision. But I wish we had had more resources to pursue more experimentation. Speaking of additional resources, you are also an Associate Director of the English Broadside Ballad Archive, which produces and offers access to digitized versions of English broadside ballads. How did you originally get involved in this project, and in what ways has it helped preserve this unique genre? The English Broadside Ballad Archive was originally started by Patricia Fumerton as The Digital Pepys Archive because she was teaching a course in early modern balladry and there was no way for her students to get access to any of the ballads. Prior to the inception of the archive, the only way for anyone to see any of the broadsides was through some limited editions of very low quality black and white microfilm or by traveling and gaining access to (which was by permission only) a handful of rare book libraries, mostly in Europe. I first started working on the archive as a consultant as part of an NEH grant to shore up the Pepys archive and redesign its architecture. Very early in this process we all realized that the desire for access to ballads extended far beyond Pepys, and the idea of an English Broadside Ballad Archive (EBBA) that would include multiple collections was born. EBBA quite literally transformed the landscape of early modern scholarship. Broadside ballads were one of the most prolific forms of printed information in their day; and yet, because only a select few scholars were granted access to them, literary, cultural, and historical scholarship of these materials was extremely limited. 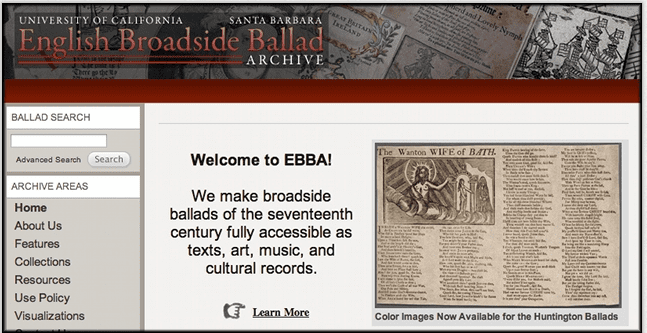 The number of journal articles and books that take the broadside ballads as their focus of study has grown steadily over time every year that EBBA has been available to the public. Thus proving that resources can help influence trends in scholarship, as long as people are aware they exist. Along this vein, what do you wish students at universities knew about libraries? How hard everyone behind the scenes in the library works to make it possible for them so easily find and read a book or article for free online. Indeed. What role do you see Digital Humanities playing, now, and in the future? I believe that the Digital Humanities is just now about to ‘come into its own.’ I and many others have spent most of our careers working to make both historical and contemporary literature and scholarship available digitally so that I (and many others) can read and study the textual record in new and exciting way. We’re at a moment when digital methods, such as machine learning, and the number of digital texts available for analysis are converging to allow computational analysis at scale. I’m currently working on a project to build a computational topic model of several million texts. Reading at this kind of scale will allow us to see patterns and trends that are impossible to recognize otherwise. It’s a great time to be a digital humanist! 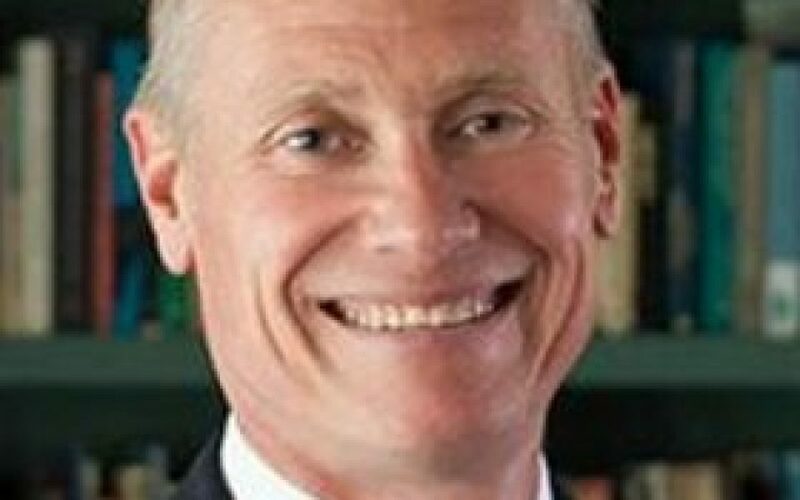 For more information on Dr. Carl G. Stahmer, visit his website or view his bio on the UC Davis Library Website.